Hotel and Facilities / Suites???? Does anyone know is fanime housing is selling suites? My friends and I requested for one but we are not sure if they even have them. Hotel and Facilities / Does anyone want to switch to a room at the Sainte Claire? So I bought a room at the Sainte Claire (1 bed) is anyone interested in switching with me? I can't afford it and I wish to find a room at the Ramada. ATTENTION: Fanime will be taking group pictures during the Gathering/Event this year. If you do not want to be included in those pictures, please step aside for those photos. By remaining with the group, when the pictures are being taken, you give your consent to be photographed. Also if anyone wants to do any private photoshots outside of the gathering please contact me! I can schedule sessions with some of the photographers I know . I will update more information at a later date! Cosplay! 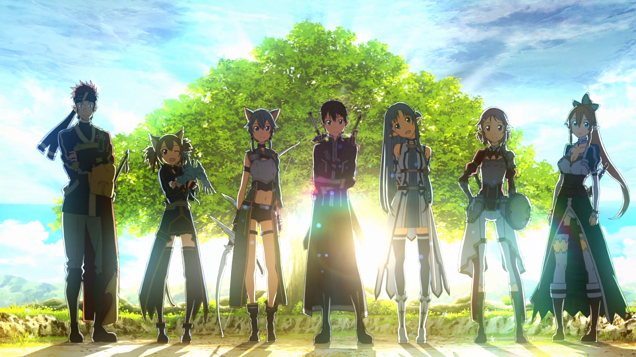 Construction, Tips, Gatherings, Advice / SWORD ART ONLINE GATHERING 2014!!! Anyone interested please look! All SAO cosplayers this year please LOG IN! lol my name is Arielle and I really want to attend an sao gathering this year however the previous host from last year has no interest in organizing the event. But that is not going to stop us!!! If you are interested in this event please respond to this forum. I would love to host this year but I am completely inexperienced when it comes to hosting a gathering plus I'm not sure if I am the recommended age to organize this event!! !Anyways everyone interested in attending, hosting, or just giving imput please respond. Day - hoping for Sunday? Time - afternoon between 12-4? Place - park across from fairmont? Please tell me if there are any other gatherings that conflict in that area. Also I am cosplaying as Asuna Farewell!! Logging out! Cosplay! Construction, Tips, Gatherings, Advice / SAO Gathering? I have not seen any posts on an SAO Gathering this year for 2014 so I wanted to know if anyone is planning to host one this year! Hotel and Facilities / Using phones to book? Hey! I was wondering if it is possible to book a hotel room through a smartphone tomorrow since idk if I can skip school for it! Please answer ASAP!!! Hotel and Facilities / Can I have the name under me and use my friend's credit card if he is present? So basically me and some friends are planning to get rooms for our anime club and we were wondering if we can have the hotel under our names however we are 16/17 so could we have the rooms under our names or does my friend with the credit card have to have his name on the room?